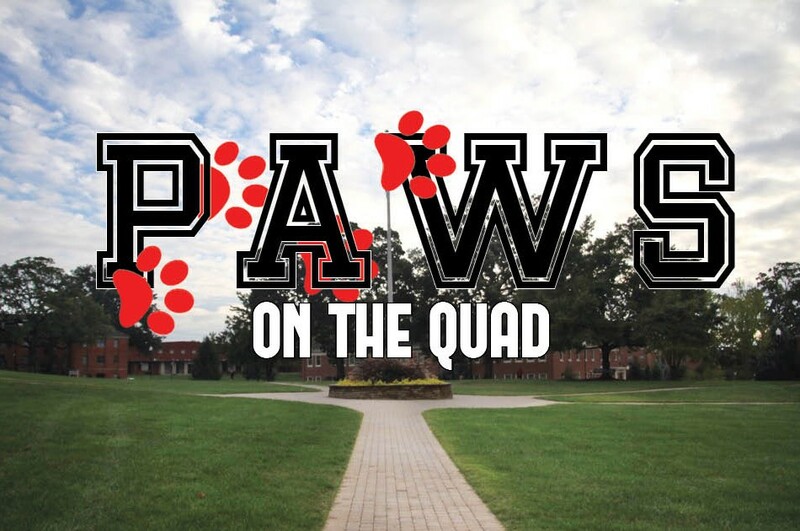 One of the most popular majors at Gardner-Webb resides in O. Max Gardner Hall, or as its residents call it O.M.G. – The Music Department. There are four tracks to follow within the Music Department: Music Education, Performance, Music Business and Composition. The longest of the tracks, typically around five years, is Music Education. Through this track, students learn how to teach the knowledge they have obtained throughout their years in college, by melding the required education materials and incorporating music. This ranges from teaching 6 year-olds how to sing “Jingle Bell Rock,” to working with a high school chamber choir singing “Festival Sanctus” for a regional competition. Senior flutist Katie Duncan said, “the music world is hectic but totally worth it because it’s music.” Duncan is studying Music Education, as well as Performance in flute. 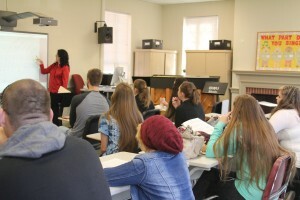 Dr. Patricia Sparti teaches a class of students music. Performance covers every different type of music. Through popular music competition shows on television, we see that it is tough for amateur singers and performers to get chosen to be the next big thing. Once students in this track graduate, they typically end up having to try out for positions alongside more seasoned professionals. On the other side of performing, is the Music Business track. This can be anything involving the business side of music, from editing to management. Students in this track become the people that make the performers of today famous. They have to learn marketing and statistics, as well as musical terminology. The last track is Composition, which is for those who want to write music. From smooth whole notes that touch the soul, to speedy 32nd notes that keep the heart racing. Composition students can create music for a soloist wanting to make a breakthrough in the music industry, as well as a 50-piece orchestra that wants to bring a younger audience to the world of live music performance. “One of the most [nerve-wracking] things [in the Music Department] is completing the Sophomore Screening, because if you don’t pass it you have to repeat it,” said junior Austin Beasley. 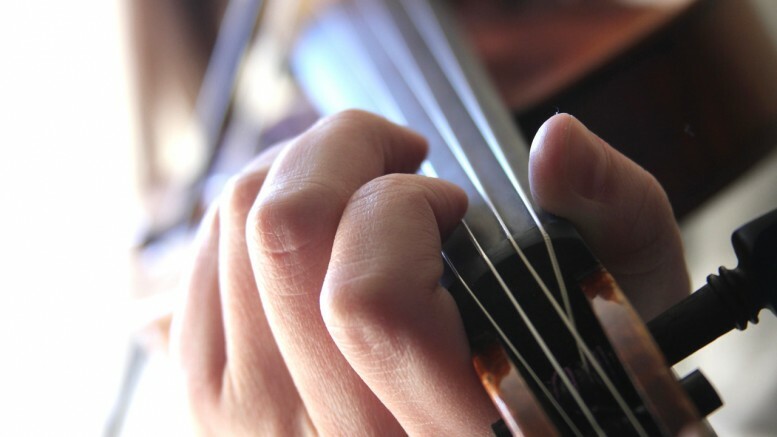 Music majors often spend several hours a day practicing instruments. The Sophomore Screening lays the foundation of any a Music major. However, before completing the screening, new students have to get into the routine of practicing which can be demanding for a freshman. “Practicing allows you to perfect yourself, and be ready whatever comes next,” said freshman Michael Nguyen. 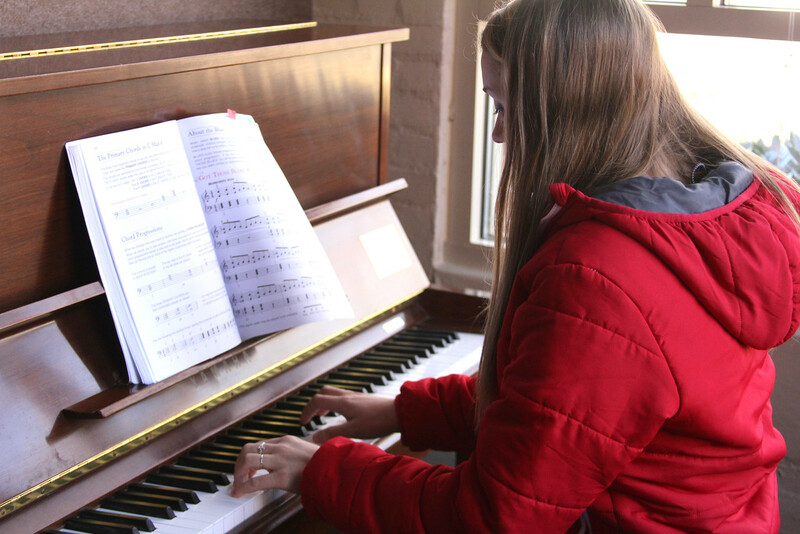 In addition to the overall curriculum within the Music Department, there are also many types of musical groups that students can join, such as the orchestra, the opera and musical scenes, musical theater, chamber choir, coral, hand-bells, jazz classes and so much more. The requirements for a degree in Music can be found here. There’s are two additional majors within the music department, not mentioned above, according to Dr. Paul Etter, music department chair: Sacred Music (will be known as Worship Leadership in the fall of 2016) and a general BA in Music. 2 Comments on "“Worth it because it’s music” – Major Highlight: Music"
We also have a Sacred Music degree that is being reworked this fall to a new Worship Leadership degree for those who would like to use their talents in the church setting. Finally, we offer a Bachelor of Arts in Music that is a more general degree, not as specific as the others mentioned. Students take this to continue to a variety of music fields. By the way, we offer “choral” groups, not “coral”; that might be found in the Science department. Thank you for sharing, Dr. Etter! We also appreciate the humor about the coral/choral group 😉 We will make a note to correct!